On Tuesday, the Supreme Court heard a batch of petitions against the decision to make Aadhaar cards mandatory by some State Governments for purposes like salary, Provident Fund, marriage and registration of properties. In the course of this hearing, the Centre argued before a 3 judge bench headed by Justice J. Chelameswar it has become too late to shut down the Aadhar scheme as the Government has already spent a lot of money amounting to Rs.5000 crores to implement the scheme which is connected to several welfare schemes. 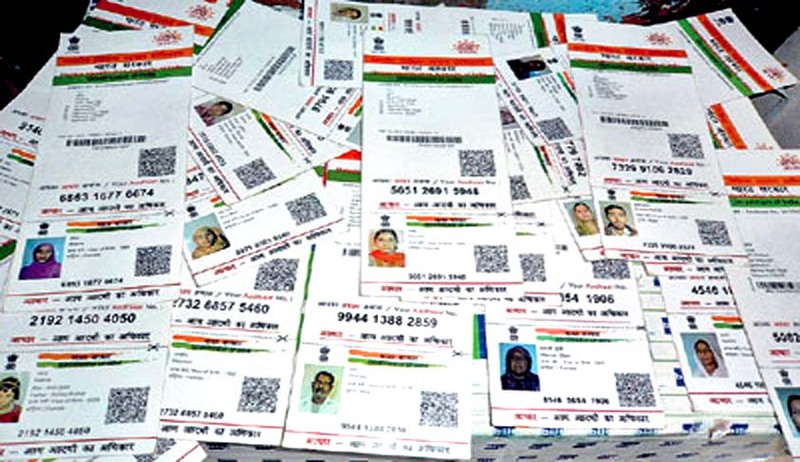 Appearing on behalf of the Centre, Attorney General Mukul Rohatgi submitted that a large number of citizens have already been enrolled with the Aadhar scheme and rolling this scheme back would cause a lot of adversities. Further, the Narendra Modi Government told the Supreme Court that the citizens do not have a Fundamental Right to privacy under the Constitution of India. Attorney General Mukul Rohatgi placed reliance on a Supreme Court verdict delivered in 1950s in which an eight judge bench had held that right to privacy was not a Fundamental Right. He elaborated, saying that the law on right to privacy is vague in the country. Requesting the 3 judge bench to refer the matter to a Constitution Bench, the Attorney General argued that, “These are questions of huge importance. The nature of questions raised and the impact on governance of this country is huge. The sweep is so large." However, the Court stated that it would hear further arguments on the question of reference to a larger bench on Wednesday (today). Senior Advocate K.K. Venugopal appeared for the Centre for Civil Society and agreed with the Central Government on the issue of reference to a Constitution Bench as the issue involved substantial questions of law relating to privacy and surveillance. In an earlier instance, the Court had ordered that Aadhar should not be made mandatory so as to prevent a non-holder from enjoying his rights and benefits like gas connection, marriage registration, salary and other necessities. The Court had further ordered the Central Government to refrain from issuing Aadhar cards to illegal migrants so that their illegal stay is not legitimised and made permanent. Read the complete documents compilation of Aadhar Case here.